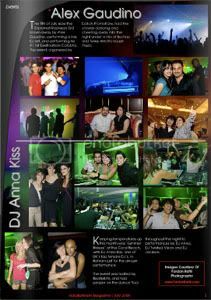 - Alex Gaudino & DJ Anna Kiss: Both performing live in Bahrain, bringing world class beats to the summer of Bahrain! 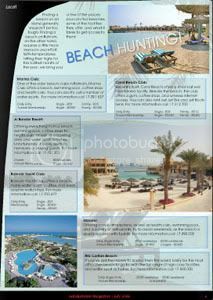 - Discovering beaches in Bahrain: Yes, we're an island, but finding a beach here is actually pretty tough! We look around the best beaches to check out! 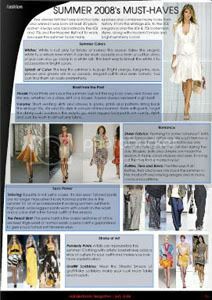 - Fashion: The hottest fashions for women this summer! A definite must read if you want to stay ahead of the pack! 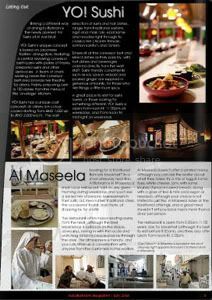 - Yo Sushi & Al Maseela Gahwa: One of the newest restaurants & one of the most traditional Bahraini gahwas! Whether you want a modern setting, or traditional chai haleeb, we've got you covered! 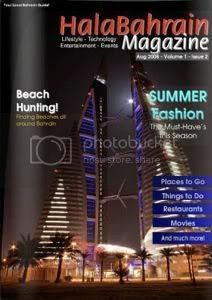 - Also in this issue: beach tips, how to avoid getting burnt, and what to take along with you, tourist reviews of Italy, car reviews of the Infiniti G37, Toyota Corolla & VW Touareg. Video games, upcoming movies and music, and much more!